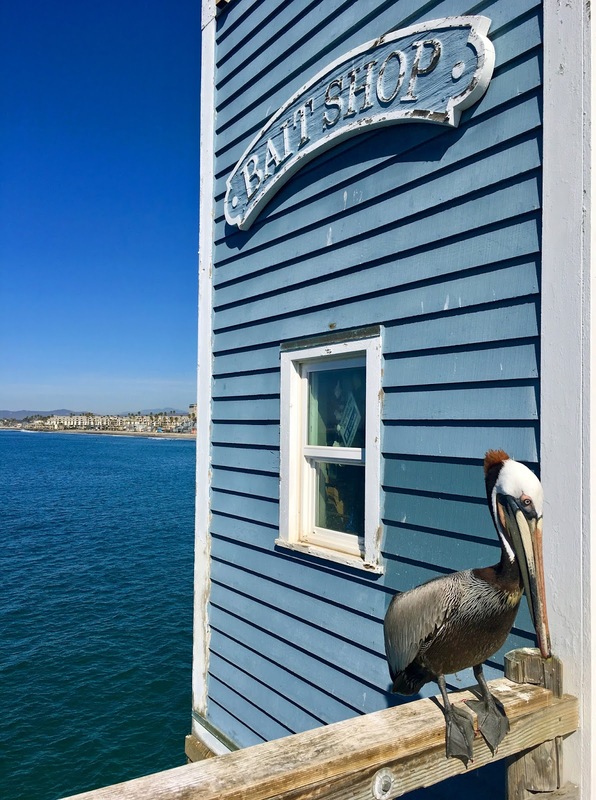 Captured a picture of this brown pelican on the pier in Oceanside, California. They must perch here often because just below the railing was an area cordoned off with rope and a sign that said, "Don't get too close. He bites stupid people."